My spring time momiform is basically throwing a jean jacket over whatever t-shirt or tank I quickly grab from my drawer. If I’m feeling fancy I will throw on a pair of heels to look a bit more put together. I think I basically lived in my jean jacket last spring but I found myself getting a little bored with it. I couldn’t bring myself to trade it in for anything else because it was just the easiest thing to grab and went with everything. I decided to grab a jacket for this spring that was equally as versatile and easy to wear but that had a little more flare to it. 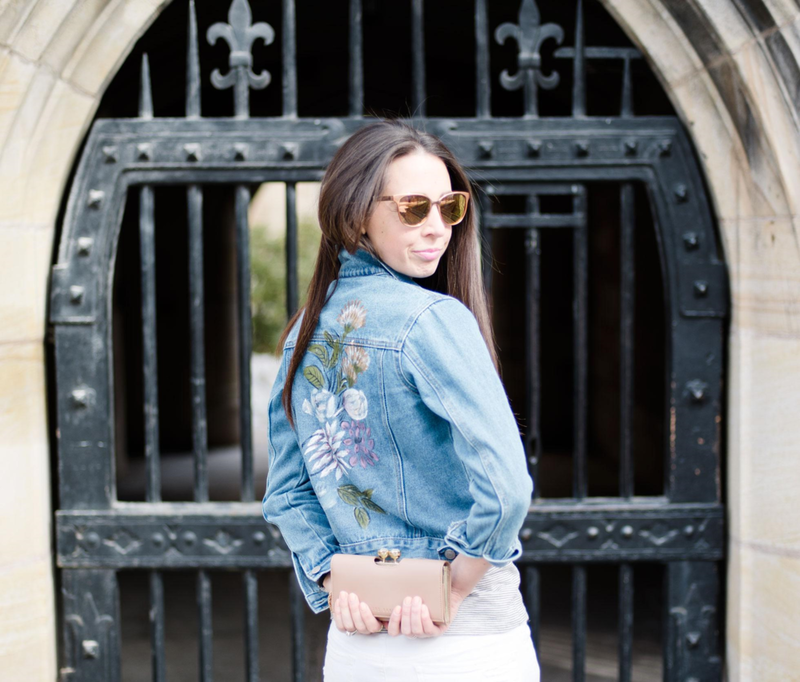 I just love the painted flower detail on the back of this jacket! Now I’m just waiting for the rest of the snow to melt and the real flowers to start blooming.